The monsters in room 6 had a lot of fun today parading around the school, decorating their door, conducting Halloween surveys and baking up some hot dog mummies. Thank you to Mrs. McShane for helping out in the kitchen. 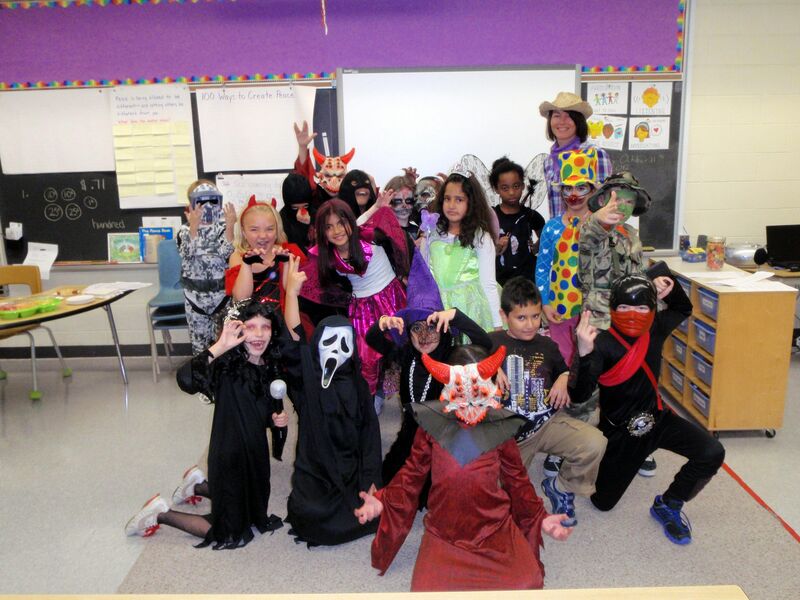 What a great picture of all our scary kids! Who’s the Cowgirl in the back row? Attention all parents: your kids can cook, I saw it with my own eyes. Let them cook dinner one night!